In an illustration of what an uphill battle Democrats have to regain control of either chamber of the General Assembly this year, PPP’s latest poll shows that the GOP leads the generic legislative ballot by 1 point. Because of the nature of the legislative maps, Democrats will probably need to be ahead on that measure by at least 10 points. North Carolina Democrats hoped that 2014 would be a year where they made substantial gains in the legislature. That doesn’t look like it’s in the cards. With the way things are shaping up, it’s possible, though not probable, that Republicans will gain seats in the legislature. At this point though, I think odds are the GOP will lose a few seats in both chambers, and their veto-proof majorities along with it. The bottom line: the Republican legislature is not nearly as toxic as liberals seem to think it is. Given the nature of politics in a purple state, the pendulum is bound to swing the other way at some point, but 2014 doesn’t look to be the year. PPP’s poll shows that NC Republicans are only slightly more unpopular than NC Democrats. Despite pushing a very conservative agenda in the last session of the legislature that some say overreached, North Carolinians don’t appear ready to punish their GOP legislature. If anything, it’s the GOP that looks to be in better shape. They lead by 1 on the generic legislative ballot, and that’s with a registered voter sample. Likely voters will probably be older, more conservative, and more white. The bottom line is that the GOP, while playing defense, is in a good position to maintain its veto-proof majorities. This also carries implications for the U.S. Senate race. Liberals have long contended that the ‘toxic’ legislature will sink Tillis. 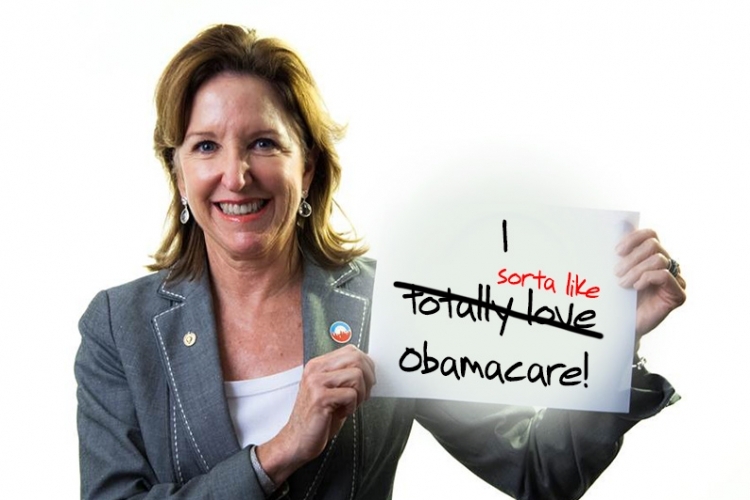 Hagan’s Obamacare vote will probably prove much more troublesome, and definitive. These facts should serve as a wake-up call for liberals. Expectations for this year should be mighty low. When all is said and done, 2014 could be another big year for the NC GOP. The 2011 redistricting has locked in their control of the General Assembly, and assures a 10-3 Republican congressional delegation. With an organized campaign, Democrats might be able to crack their veto-proof majorities in the legislature. But it’s equally likely they’ll lose their U.S. Senator.